The summer months are here and it is a great time for coffee lovers (and newbies to the coffee world) to enjoy a great tasting cup of Iced Coffee. And what is better than having some homemade, cold brew coffee available in your refrigerator to enjoy any time of the day? And, saving some money on those specialty coffee drinks at the local coffee shops? And how about the control of knowing exactly what ingredients are in your Iced Coffee? We have the solution! 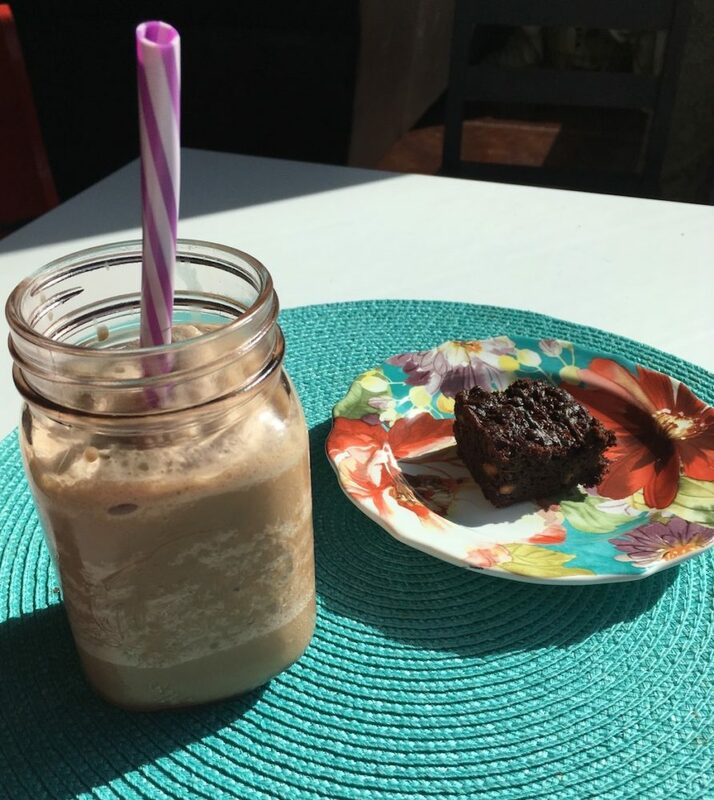 A homemade Cold Brew Coffee Recipe and an out-of-this-world, super simple, Blended Iced Coffee Recipe. We start with making our own homemade cold brew coffee. 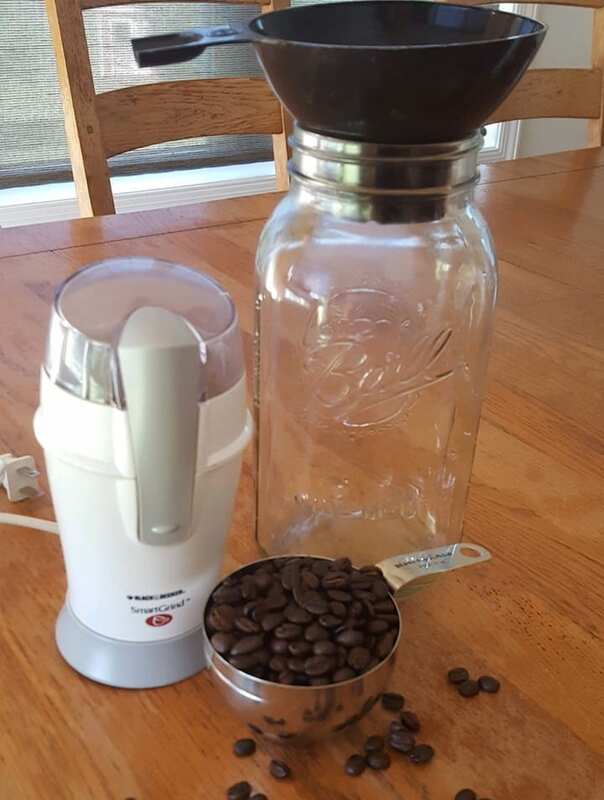 You just need some fresh coffee beans, filtered water, a 2 quart jar, a grinder, and a fine mesh strainer. This coffee is brewed cold and takes about 12 to 15 hours to brew. The results will win you over once you taste this full-bodied, aromatic coffee. Now get ready to make your homemade blended iced coffee. Add crushed ice, coffee, cream, maple syrup, a little chocolate syrup to your blender, and you have a specialty coffee drink right at home. Grab a glass and straw, and savor your homemade blended iced coffee! Place ground coffee in a 2 quart jar and add filtered water. Stir. Cover and let rest at room temperature 12 to 15 hours. Strain through a fine-mesh sieve (line with cheesecloth if desired) or a coffee filter. Place all ingredients in a blender in order listed and blend to desired consistency. Pour into a glass and serve immediately. Enjoy!